The Blue Ribbon Group is the leading exporter of Mungbeans, as well as Chana, Mung and Faba dahl out of Australia. Our product range includes a complete selection of pulses, dahls, grains, spices and flour. Blue Ribbon Grain and Pulses provides both human consumption products, as well as products for the animal feed market. In conjunction with our own processing facilities and mills, Blue Ribbon works closely with an extensive network of primary producers, packers and traders of agricultural products. Our ability to source products both nationally and internationally, gives Blue Ribbon the ability to quickly supply our buyer's needs. Please CLICK HERE to view Blue Ribbon Grain and Pulses' entire product range. The primary objective of the association is to consolidate and build a stronger AMA structure. 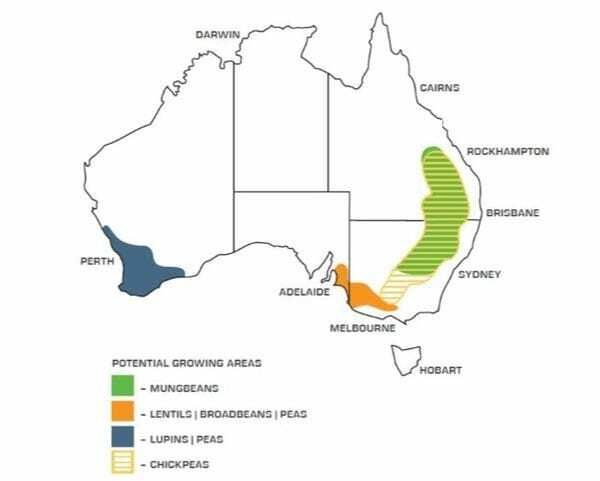 The Australian Mungbean Association is committed to developing effective networks and linkages between key stakeholders within the industry and in ensuring that their efforts are maximised and ultimately aligned for the common goood of the industry. Gafta is an international Trade Association with over 1370 Members in 87 countries. Their aim is to promote international trade in grain, animal feed materials, pulses and rice and to protect the interests of their members worldwide, providing the support and international contacts they require. International Pulses Trade and Industry Confederation (CICILS-IPTIC) was established in 1963, head quartered in Dubai in 2009. CICILS ( World Pulses Organization) is an observer status body with United Nations and FAO. It is a non-profit global confederation of more than 10 national associations and 550 corporates, NGOs and governmental organizations from over 50 countries.